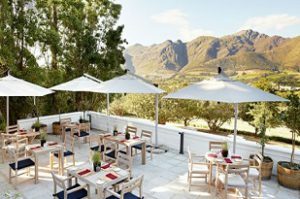 From the quaint and charming to unashamedly grand and dignified, the Cape Winelands village of Franschhoek, is a must-visit for life, food and wine lovers alike. Fleeing Roman Catholic persecution, the French Huguenots first settled in Franschhoek (‘French Corner’) in 1688. 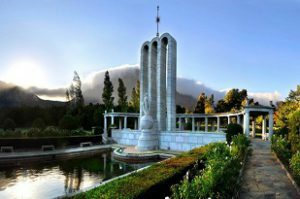 With their cultural influence on the village came a strong culinary tradition which over the years has established Franschhoek as the unofficial food and wine capital of South Africa. 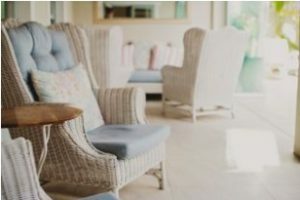 Our first stayover in this charming Cape Winelands village is The Last Word, a luxury boutique guesthouse on the main road just a few steps in either direction of fine-dining restaurants, shops and art galleries. 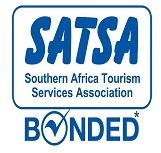 The beautifully restored guesthouse was built in Cape Huguenot style and offers an aesthetically pleasing blend of the classic and contemporary, without being eclectic. 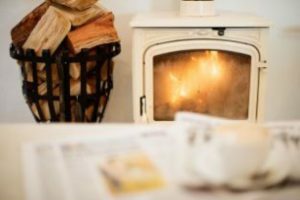 It’s raining when we arrive and although there is a cosy fire burning in reception and the doors are closed shut, the ambiance inside the 5-star guesthouse is light and airy. We make ourselves comfortable in the glassed-walled lounge overlooking the solar-heated swimming pool and enjoy a glass of red wine as we watch the rain coming down. Arriving back from dinner that evening, a chilled bottle of sparkling wine awaits us on the dresser, which we enjoy while marvelling at the stars before sinking into our king-sized bed. After breakfast, we wander around town, poking our heads into shops selling everything from cookware, jewellery and local art, to glorious wine, truffles and petit-fours. Mont Rochelle Hotel & Mountain Vineyards is our next stayover, with its lavish accommodation, award-winning wines and gourmet dining restaurant. Horse-riding and picnic lunches are some of the offerings we hear about but don’t have time to enjoy at this grandiose 5-star establishment. From our private terrace we are afforded commanding views of the neighbouring farms and distant mountains in stunning hues of mauve. The exquisitely adorned suite is spacious enough to entertain guests and features a separate lounge, dining room, and guest toilet. 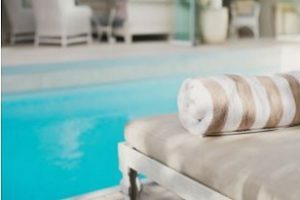 The private terrace is equipped with a plunge pool and outdoor seating, ideal for afternoon lounging. The tired expression, “Love is work made visible” will find resurgence in anyone fortunate enough to taste the haute cuisine created in the kitchen of Mont Rochelle’s Miko restaurant, where each chapter of our three-course meal is its own culinary celebration. No holiday in Cape Town is complete without spending one or two days in splendid Franschhoek. 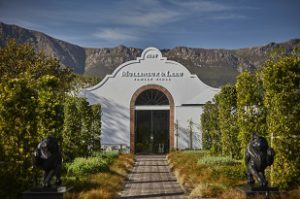 Explore this charming Cape Winelands village and be prepared to be filled with all the joys of carefree living in South Africa’s French quarter.